The relationship between East and West remains a topic of burning timeliness, particularly in its political dimension. Yet, we can gain a complete understanding of the current tensions only if we consider them within a broader historical framework, spanning from art to diplomacy, from religion to ethnography. The present volume tackles precisely this complex task, offering its reader a rich mosaic of case studies and scholarly research, relating to the mutual approaches between the Euro-American ‘West’, and the Sino-Japanese ‘East’. In the first part of the book, art historian Marco Musillo uses the depictions of Tartars in fourteenth-century Italian frescoes as the starting point of a trajectory leading to eighteenth-century European literature on China. In the second part, the reader is introduced to two cases of diplomatic encounter, one in sixteenth-century Italy between Japanese subjects and local courts, and the other one between Qing China and twentieth-century United States, in the space of the universal exhibition in St. Louis. Finally, the last section proposes three interconnected art historical explorations: the screen design of Chinese origin in colonial Mexico, Medieval Christian tombstones in China, and early-modern Filipino sacred sculpture. Marco Musillo is Senior Research Fellow at the Kunsthistorisches Institut in Florence. 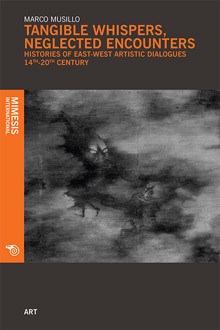 He specializes in early modern European and Chinese painting and cross-cultural dialogues. He received a Ph.D. in art history from the University of East Anglia, and he has held fellowships from the Getty Institute and the University of San Francisco. He is the author of The Shining Inheritance: Italian Artists at the Qing Court, 1700–1800 published in 2016 by the Getty Research Institute.